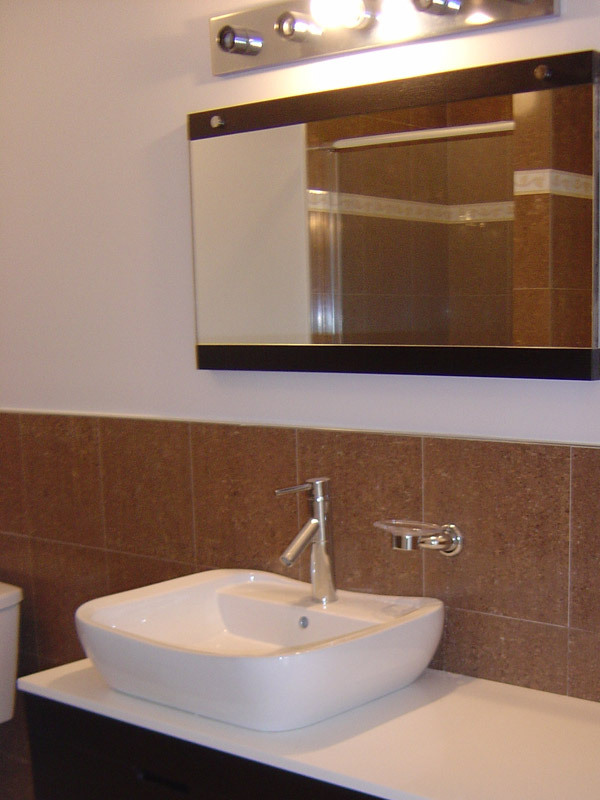 Classic lines and lots of shine. 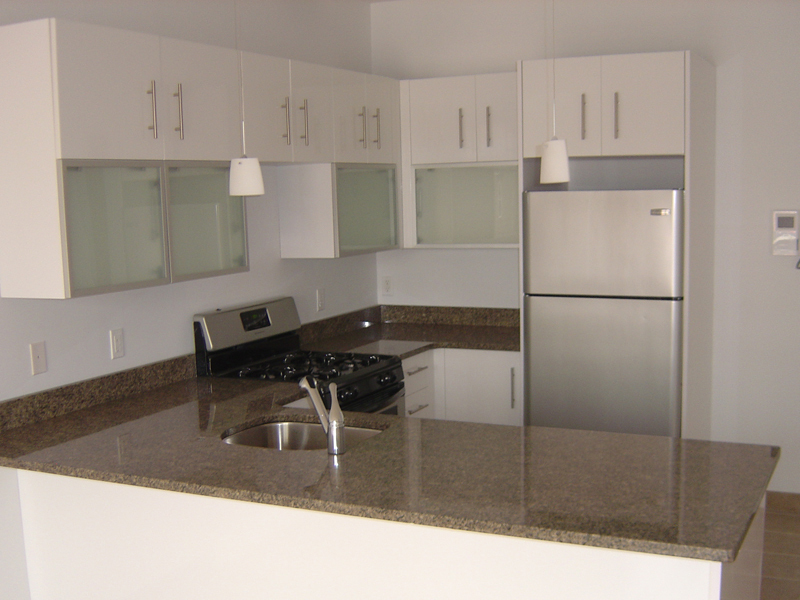 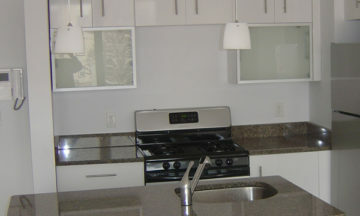 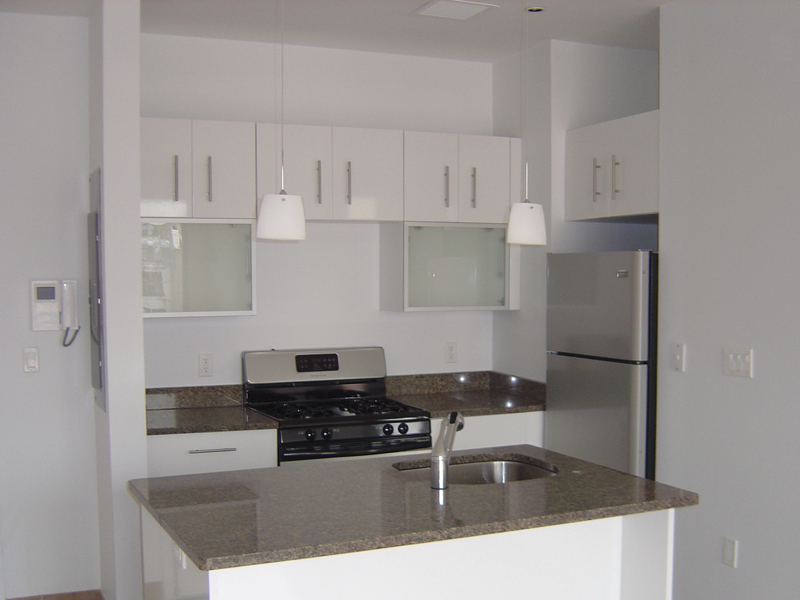 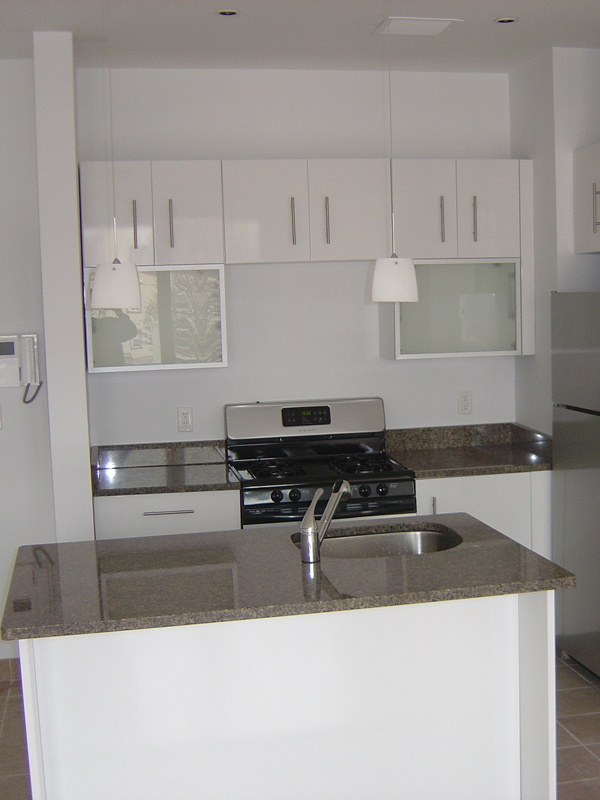 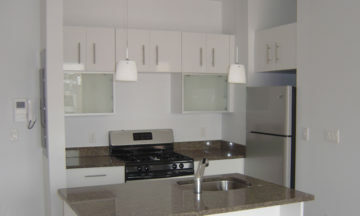 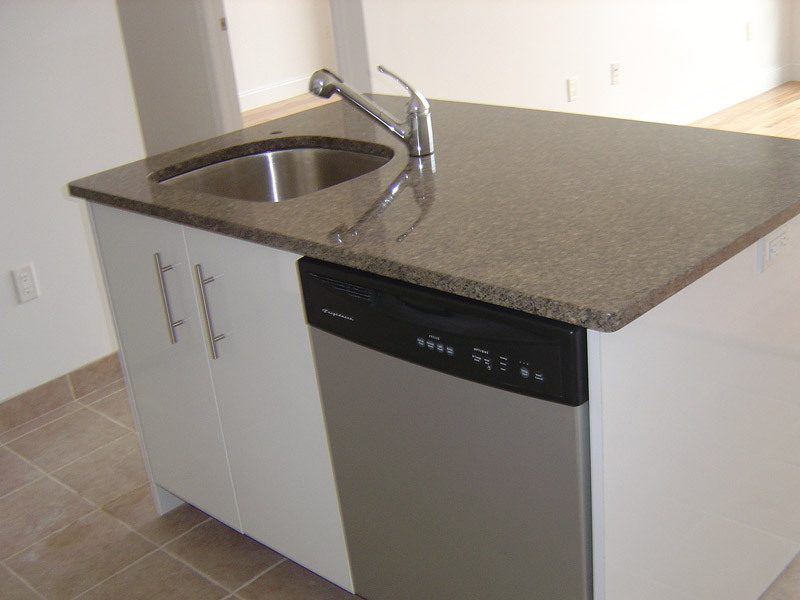 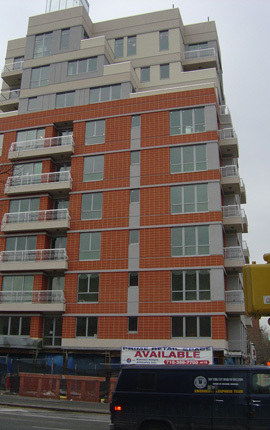 That was the sensibility for the kitchens we designed for the 50-unit residential development in beautiful Park Slope. 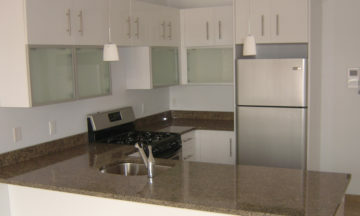 The glittering white cabinetry with aluminum flip up glass doors expand the space and lend it pizzazz. 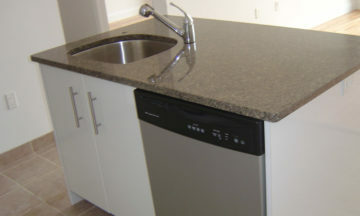 Countertops are in muted tones, providing the perfect contrast to the white space. 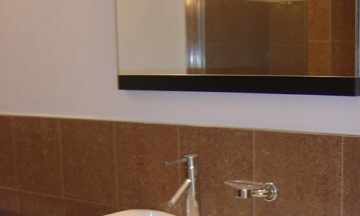 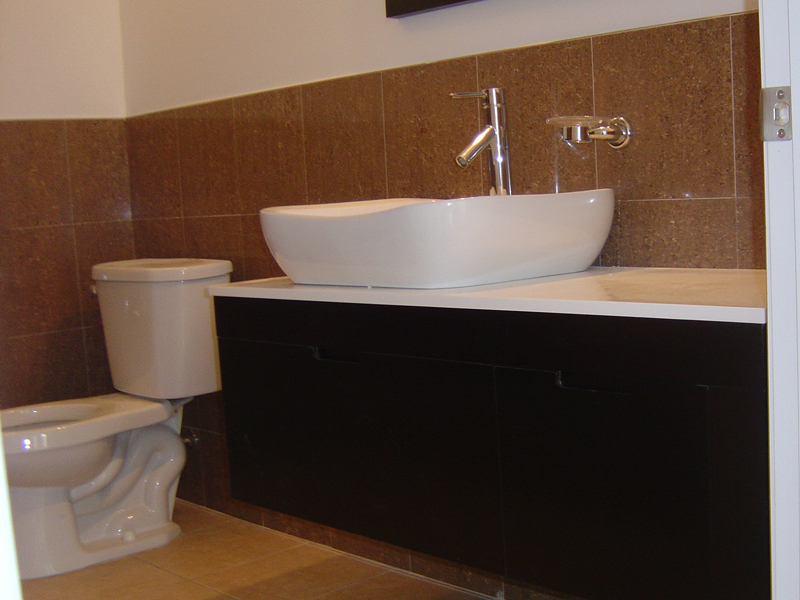 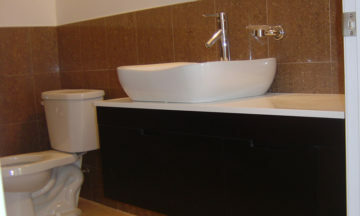 For the vanity, we chose a modern suspended wood veneer design with good bones and glamorous detail.